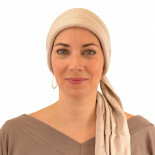 Hair loss is a difficult experience for a woman to deal with. 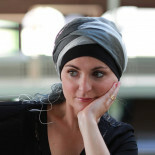 There are solutions to help you feel well and attractive even at this difficult time. 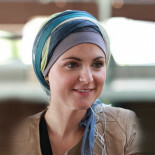 Some scarves and turbans bring comfort and elegance and become indispensable if you’re suffering from alopecia. 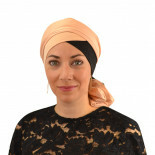 Why not choose a plain scarf or a coloured turban and mix and match your style ! 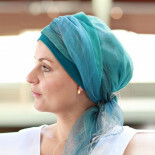 A very soft little cap with the emphasis on lightness and comfort!